Our Top-Rated RV Extended Warranties are backed by an A Rated or better Insurance Carrier, so you can count on coverage to be there for you when you need it most. 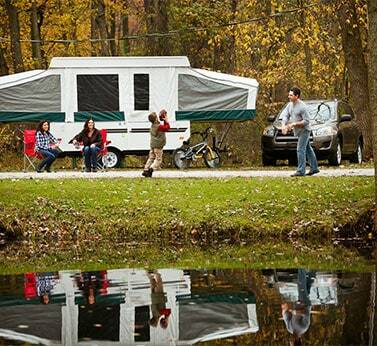 Discover your options for protecting your towable RV with top-rated Travel Trailer or 5th Wheel extended warranties. 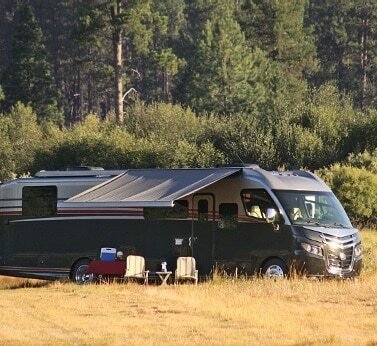 Why Do We Need RV Warranties? The truth is, RVs break down more often than you might think, and when they do, it will cost you! Recent claim statistics show common RV Repairs cost an average of $300 per hour between parts and labor. RV Warranties step in to pay for these costly repairs, getting you back on the road where you belong. There are a range of coverage and deductible options available to you through Wholesale Warranties, allowing you to choose the policy that best fits your RV lifestyle and budget. Stay on the road with the best RV warranty protection on the market. As we all know, RVs come in many different shapes and sizes, all of which are loaded with more varied and complex features than ever before. 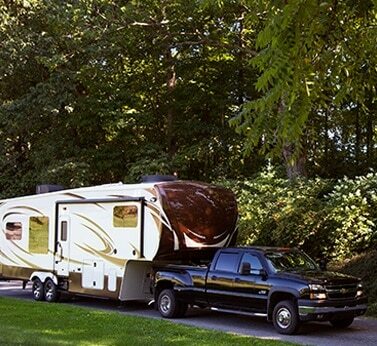 Whether you own a motorhome, 5th wheel, or pop-up camper, the risk of mechanical failure is always present. In fact, when an RV is in motion, it is said to endure the equivalent of forceful hurricane winds, mixed with the shaking and rattling of an earthquake! With this in mind, it is no wonder that the frequency and cost of RV repairs continue to rise. 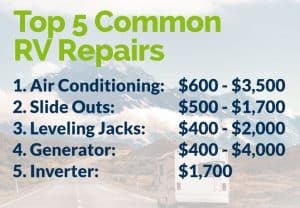 Many RVers fail to include these potential RV repair costs in their travel budget, leaving their life on the road at risk. The good news? You can protect yourself! Our comprehensive RV Extended Warranty policies will step in to cover the repair bills for almost every working mechanical component on your vehicle. Our knowledgeable RV Warranty Specialists will work with you to find a program that meets your specific needs, allowing you to hit the road with confidence on your next road trip! The perfect companion to your RV Extended Warranty is a comprehensive RV Roadside Assistance and Tire and Wheel Protection program. Securing 24/7 Roadside Assistance Coverage allows you to hit the road with the ultimate peace of mind--and if the road hits back, your RV Tire and Wheel protection will be there to cover the high costs of repairing or replacing multiple tires for your home-on-wheels. We can’t guarantee that you’ll never have a tire blowout or need assistance while traveling, but we can provide you with access to a nationwide network of emergency RV services 24 hours a day, 7 days a week, 365 days each year.